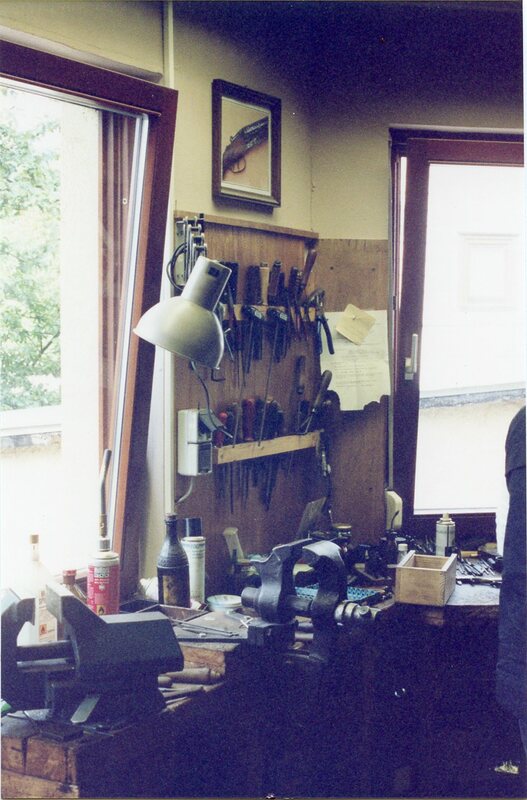 In 2000 I had the opportunity to visit with Günther & Torsten in their shop. 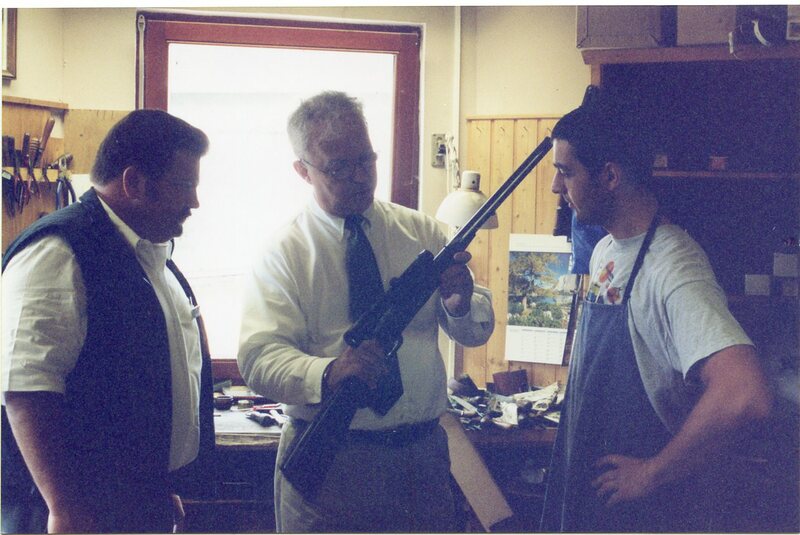 The following pictures were taken at that time. 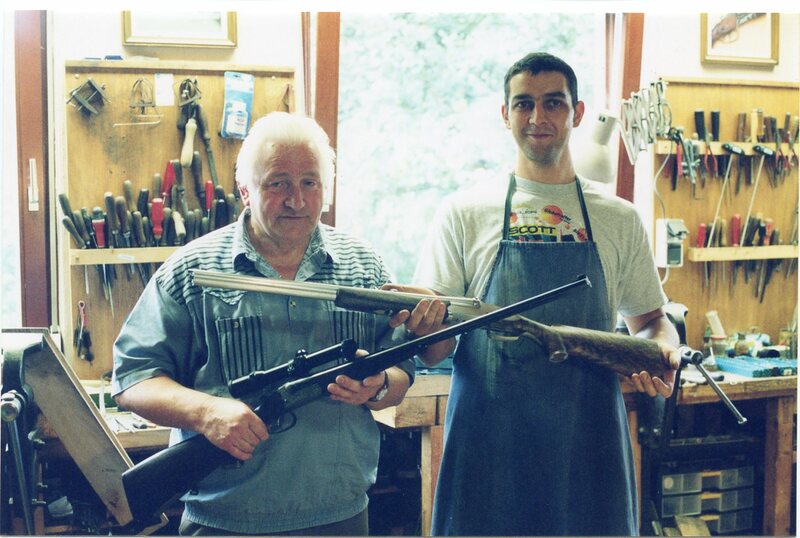 Günther and his son Torsten proudly holding two fine examples of their work. 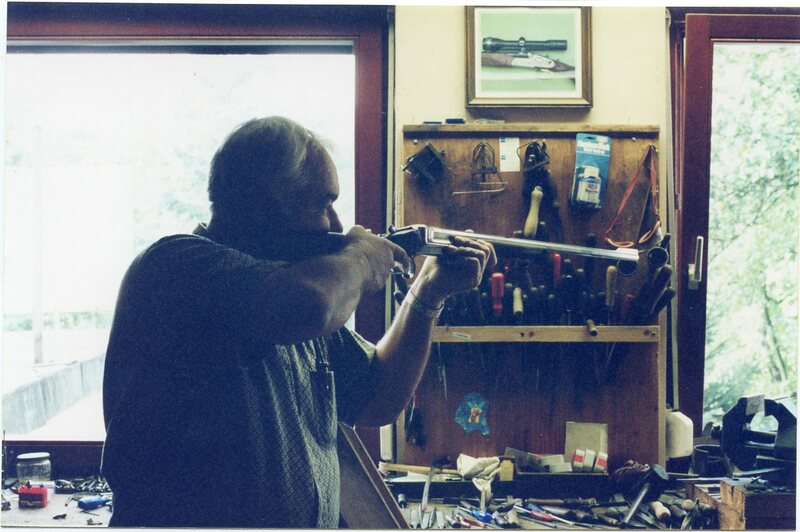 Günther holding a double rifle he made. 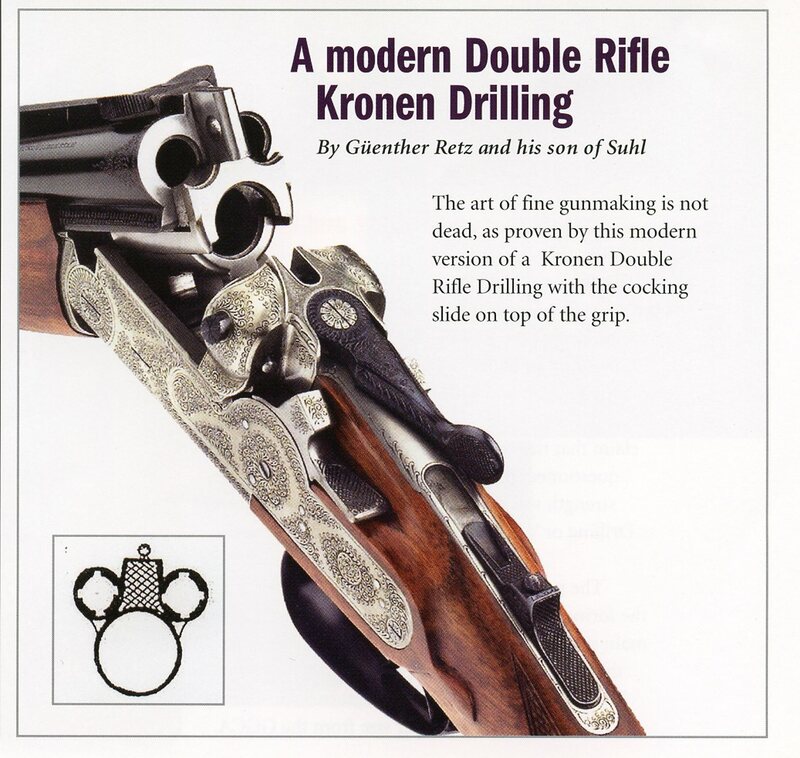 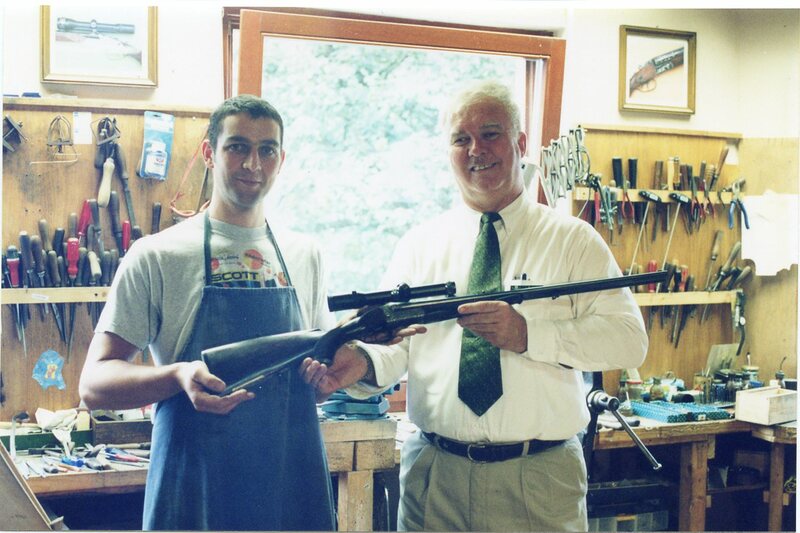 Torsten and John Neumann, a Charter member and past President of the German Gun Collectors association. 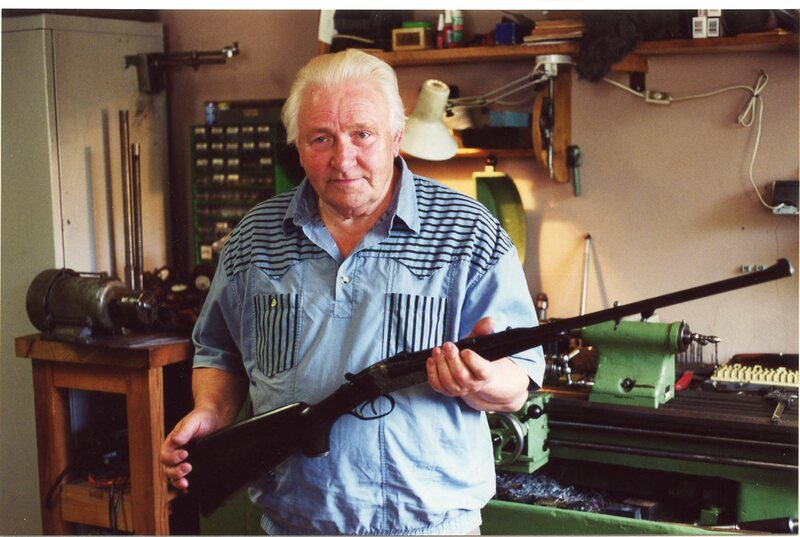 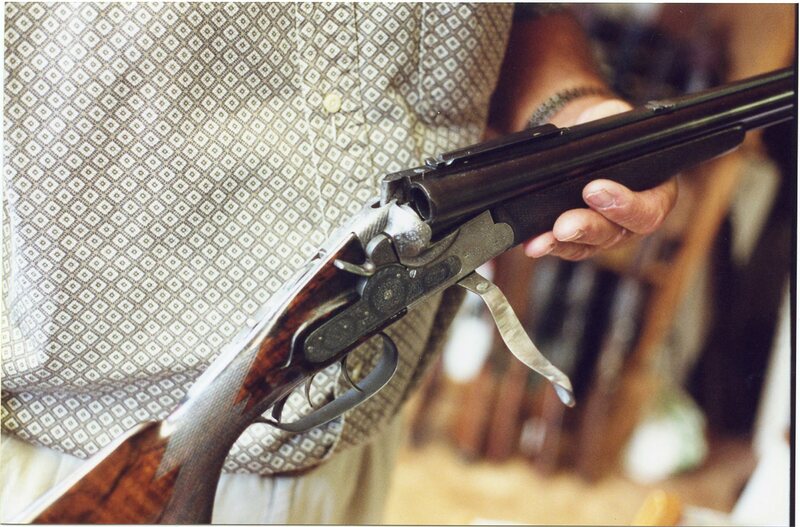 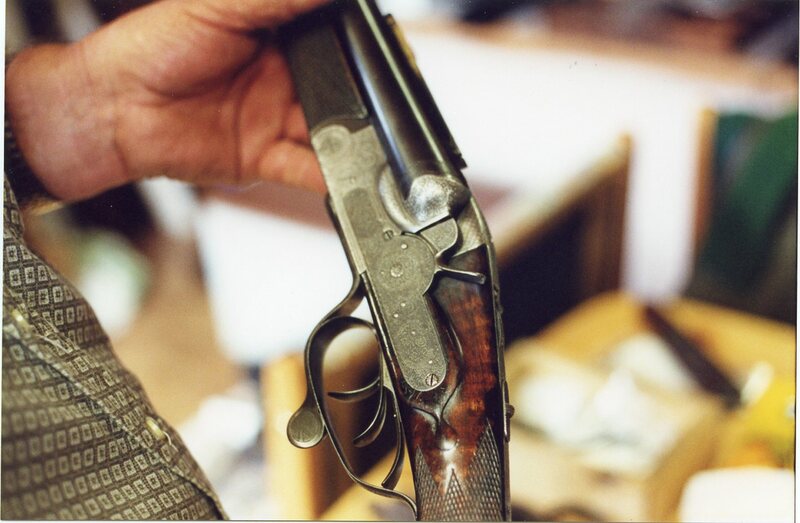 My good friend the late Hans Pfingsten shouldering a Kipplauf rifle made by Retz. 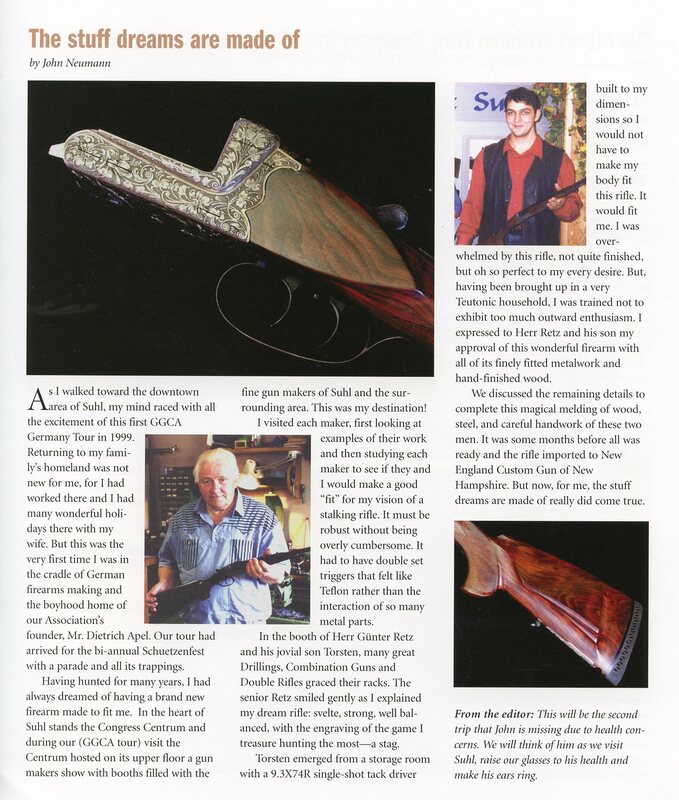 On the left is Rob Blank and in the center John Neumann with Torsten Retz admiring on of their fine rifles. 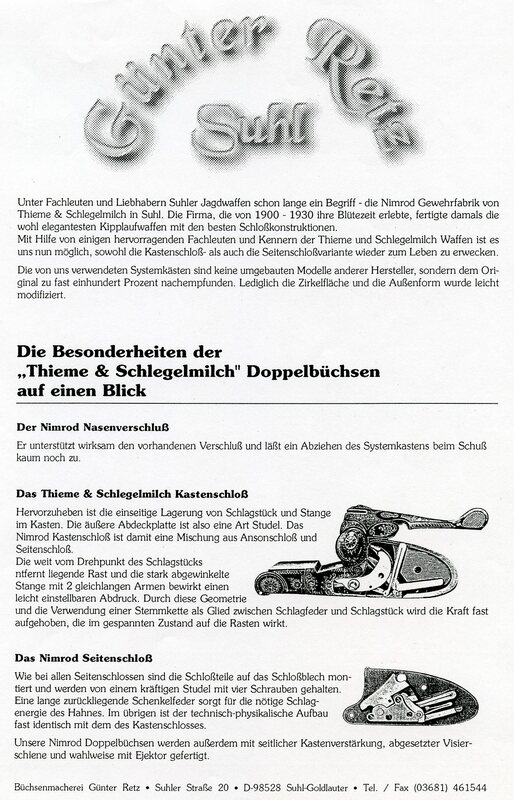 An original Fükert Drilling being admired by Hans Pfingsten.